Trish McEvoy No. 9 Super Enriched Body Cream, 3.5 oz. Trish McEvoyNo. 9 Super Enriched Body Cream, 3.5 oz. As seen in Harper's Bazaar magazine (February 2007 issue, p162). This irresistible No. 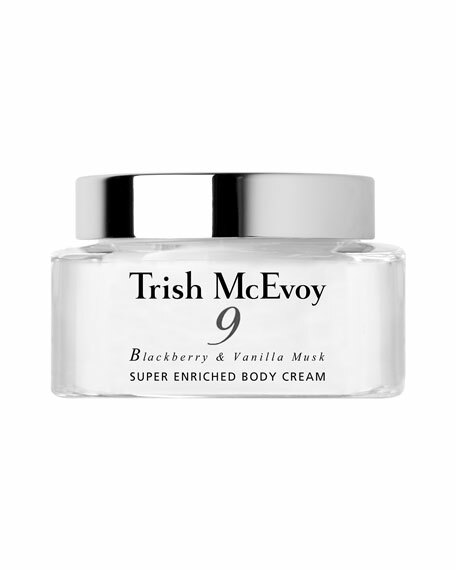 9 Blackberry & Vanilla Musk body cream is a luxuriously enriched, ultra-hydrating and richly scented formula that absorbs easily to leave skin velvety soft and deliciously scented for hours.